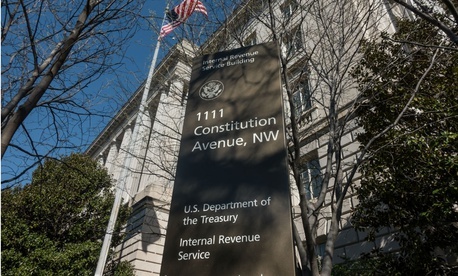 A U.S. District Court judge said the Justice Department will have a “steep uphill battle” to defend the Treasury Department’s decision to recall thousands of Internal Revenue Service employees to process tax refunds during the partial government shutdown. At a status hearing to discuss the next steps in three lawsuits challenging the legality of the Trump administration’s decision-making in forcing more than 400,000 federal employees to work without pay during the 35-day lapse in appropriations, U.S. District Judge Richard Leon said he would not prejudge the issues in the case, but noted his “serious concerns” with the government’s position on some issues. Leon also suggested that the Justice Department may not be on the strongest legal footing in defending against claims that some agencies deny employees their due process rights by blocking feds’ access to outside employment due to ethics rules. Much of the hearing was devoted to establishing a schedule for filings and a hearing on whether to prevent the government from forcing employees to work without pay, given the possibility that lawmakers may not reach a deal to keep the government open once the current continuing resolution expires Feb. 15. Leon tentatively set an expedited schedule that, in the event of another shutdown, hearings on a preliminary injunction would occur on Feb. 22, noting that federal workers are due to receive paychecks on that day. But Daniel Schwei, an attorney representing the Trump administration, suggested arguments did not have to occur so swiftly after a lapse in appropriations begins. Leon suggested Schwei confirm the details with the Office of Personnel Management and send a letter to all parties, but seemed to lean toward his original schedule regardless. Leon said that if Congress and President Trump reach a deal to keep the government open beyond the Feb. 15 funding deadline, the Feb. 22 hearing would be converted to another status conference to discuss next steps. Paras Shah, an attorney representing the National Treasury Employees Union, said after the hearing that the union would continue to pursue its legal challenge—that the Trump administration has violated the Anti-Deficiency Act with an overly broad reading of exceptions laid out by decades-old Justice Department legal opinions. Although lawsuits related to the legality of previous shutdowns were rendered moot by the government reopening, Shah said this case should fall under the “capable of repetition, yet evading review” legal standard, which allows courts to hear cases when disputes have a short shelf life, but have a high probability of recurring.